A fifteen-time NCAA All-American, the former Texas A & M standout also maintained a 4.0 GPA in Biomedical Engineering and was named the overall CoSIDA Women’s Academic All America Winner in 2017. As a member of the U.S. National Team, she is a two-time Short Course World Champion as well as 2017 World Champion in the 4 x 100 Medley Relay. 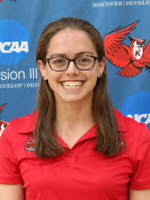 So far this year, Gibson is ranked eighth in the 50 and sixth in 100 Butterfly among American female competitors. According to Fike, Gibson has done so under the training of Team Elite in Charlotte, N.C. She will be competing at the 2018 USA Swimming National Championships working toward qualifying for the 2018 Pan Pacific Championships and the 2020 Tokyo Olympic Games. Other Fike Swim ambassadors include Zane Grothe, Hellen Moffitt, Lizzi Smith and Zac Stubblety-Cook. A: “48,000-55,000, depending on the time of year and my out-of-water training schedule.